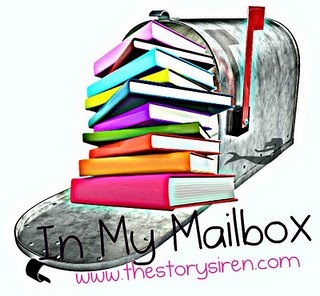 Midnyte Reader: In My Mailbox (February 26, 2012). ~Usher's Passing by Robert McCammon. ~Arthur Rex: A Legendary by Thomas Berger. ~A Brush of Darkness by Allison Pang. ~Three Days to Dead by Kelly Meding. ~Halfway to the Grave by Jeaniene Frost. I love Cat & Bones! Ohhhhh Bones. I love me some Bones! I hope you enjoy! Hmm, I can't watch your video, it keeps telling me it's private. Looking forward to your review of Usher's Passing! What a bunch of cool paranormal books! I've heard Jeanine Frost is great. Ooh! Great bunch of books. We have a great used book store here. And one in our library. I feel the need to shop. Will let you know what I get! McCammon! :) I'm reading Usher's Passing right now, and it's pretty different from his other books so far. Great haul. Someone is getting ready for AAD!!! I can't wait!